For power consumers searching for the cheapest and most reliable power, coal is the only answer. Crypto-currencies, like Bitcoin, have been a bonanza; not only for risk-hungry techie investors (not to mention risk-averse drug smugglers and money launderers), they’ve been a windfall for power generators – provided those generators can deliver it reliably and at 1970s prices. The servers used to run the block-chain programs upon which these virtual currencies depend, chew up veritable mountains of electricity. Hence their operator’s interest in sourcing the cheapest power there is. And, in Australia, that means coal-fired power. 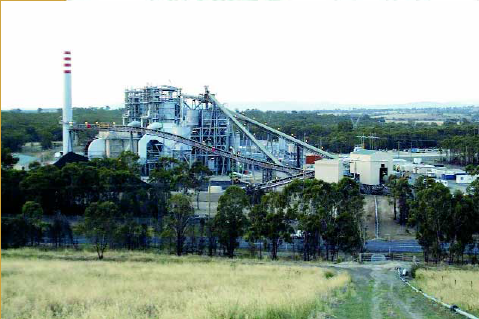 The 151 MW Redbank Power Station, located near Singleton, in the Hunter Region, NSW, was built using private money by Babcock & Brown, started operating in 2001 and was mothballed in October 2014, after a messy liquidation of the entity in control, Redbank Project Pty Ltd.